You love eating fresh, eating in season and the idea that your food has not been trucked across the country or the ocean. But you live in Maine – or some other cold climate. 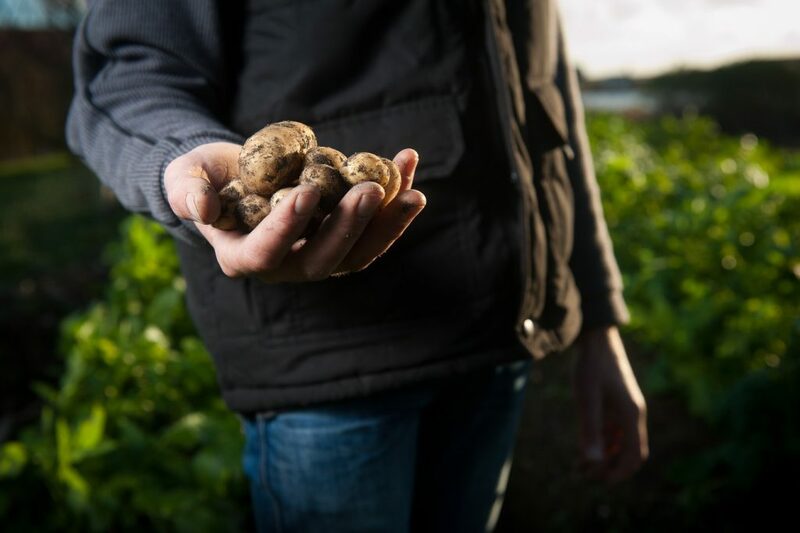 Have you ever wondered How to Support Local Farmers even in the Winter ? Maine is a beautiful state. The oceans, the forests, the lakes, the mountains, the rivers, the quaint little towns, the big full size cities – yes, there are a couple, the rocky hillsides and the farm country. Oh, and lets not forget “The County”. That is northern Maine. It is part of Maine, but if you listen to Maine people talking, you might just believe that it is part of southern Canada. I digress…. Beautiful, it’s all beautiful! The County is mainly farm country and from there all the way down to the most southern tip of Kittery and everywhere in between, you will find local farmers who have put their heart and soul into raising and growing healthy food. Farming in general is not for the faint of heart. But farming in Maine, where the growing season is short, the summers are hot and the winters are freezing is a challenge that not everyone can handle. Let’s face it. When it is minus 15 degrees Fahrenheit with the windchill (or colder) who in their right mind would want to be outside farming? But yet…somehow…there are a handful of us that push through. It truly has got to be a labor of love or else no one would do it. I know…you got caught on the “the right mind” part didn’t you? So what happens to a farmer in the winter? No really? When it is freezing outside. No one is planting in the ground. There is 3 feet of snow on top of frozen, hard as a rock soil that even the best made spade won’t budge. How is it that you could possibly support a farmer and buy local in the winter. What are you going to buy? Iceberg lettuce perhaps! Ba-da ching! Just joking. Don’t waste your dollars on iceberg lettuce ever. Yuck! 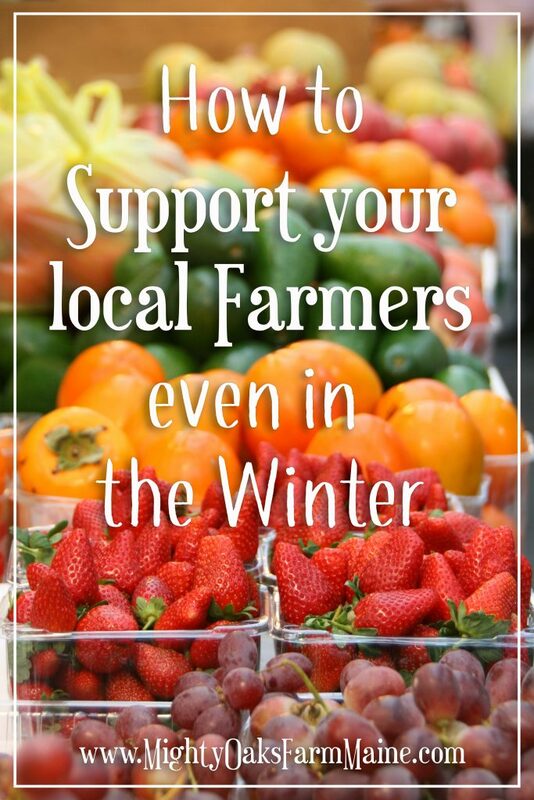 But…there are ways to support your local farmers even in the winter. They need you. Winter can be a really scary time for farmers. Especially young (in the biz) farmers who are just starting to grow their customer base or the older farmers who don’t know if they can physically make it through another season. Farmers work really, really hard all spring, summer and fall, and do have a resting “ish” period in the winter. But if farming is what you do…and you are not doing it because it is winter…Ahhhhh! It can cause a little bit of unease. Like I said, “they need you.” We need you. 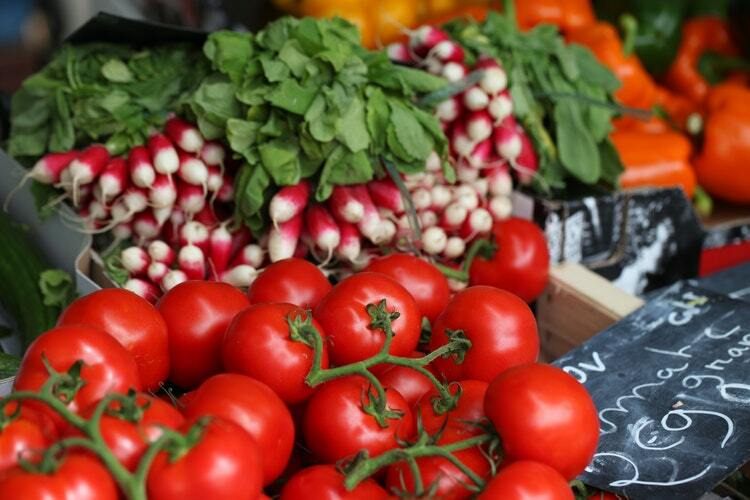 We are super thankful that farmers markets are making an upward swing. It’s cool, it’s fun, the hipsters are doing it, it’s all the rage and we couldn’t be happier! There are many indoor winter farmers markets in the state that will allow you not only opportunity to buy fresh, locally raised foods, but most of the time have the added bonus of having really talented artisans present too! Stop in at a farmers market and ask each farmer how they raise their animals. How do they grow their produce? Look past the, “is it pasture raised, naturally fed, is it organic, is it GMO free?” Go deeper. Ask questions and listen to the heart that is behind the person raising food for someone else. Chances are good you will see there is more to what goes into local food than just fancy wordage and labeling. There is passion, there is excitement and there is life! Farmers market not your style? Too many people? Wrong day of the week? Perfect! Many farmers in this day and age love to have you come visit their farm. At Mighty Oaks Farm, we happen to have an open door policy, 365 days a year. We want people to know who we are, how we do things and to know that yes…we live on the farm. It is rewarding, and we encourage people to come directly to the farm and purchase straight off the land that our product was raised or made on. Even in the winter, you can come to our farm and purchase chicken, pork, beef, eggs when we have them, and goats milk soap. There are many farms like ours and I suspect some in your very own region. Don’t assume that because it is winter, the farms have closed and the farmer has packed up and gone to a warmer climate or a real job! Most are still farming…keeping things fed, doing what needs to be done, even if that is just sitting by the wood stove planning for next year. That my friends is all part of farming too! What local products can you buy in the winter? Let me just name a few. 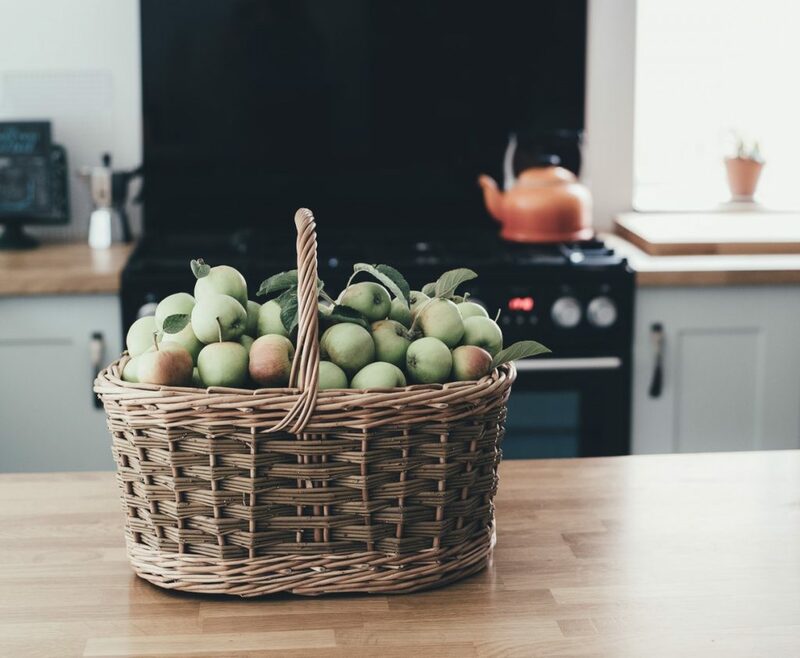 Milk, Butter, Cheese, Maple Syrup, Honey, Chicken, Beef, Pork, Eggs, Onions, Carrots, Turnip, Potatoes, Winter Squash and other cold storage vegetables, Garlic and Apples. We have been purchasing greens still, in January, at our local winter market where we spend our Saturdays. Your winter farm purchases don’t have to stop there! How about frozen turkey pies, goats milk soap, candles, wool hats and other items, canned vegetables and fruit, jams and jellies. That list should put a decent dent in your grocery needs for the week! So the next time you think about: eating healthy, supporting local, knowing who raised, grew or made your food, how mundane the grocery store is, how building a relationship with your farmer is important (blog spoiler alert right there), remember…Your local farmers need your support just as much in the winter as in the summer. And chances are good…in the winter you can actually get them to slow down and talk to you; maybe sitting next to a wood stove. At least that’s how it works around here.